Final evaluation of 43 received project proposals under the evaluation is concluded. IRIS network Project Evaluation Committee, consisted of representatives of ASB and five partner organizations, decided to support total of 23 projects: five in Bosnia, Croatia, Montenegro and Serbia, and three in Kosovo. Number of supported project is directly proportional to number of received project proposals per country. Implementation of all supported project starts September 1st with the duration of two months. 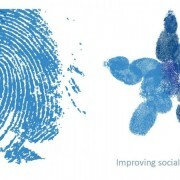 Each project deals with important social issues and strives to strengthen civil society organizations providing social service as well as their role in active impact on the creation of social policies and social protection programmes at both national and local levels. The projects assessment criteria included: organisational performance; comprehensiveness of information including relevance of the proposal to objectives of the fund, objectives of the project and addressing identified need; capacity of identified activities to achieve defined objectives; the relationship between the proposed actions and the financial plan; the intended impact of the project and future sustainability. At the end of projects implementation, each project will have concrete result regarding the specific direct intervention and, more important, each project will have long-term sustainable results or policy interventions in the local community.